The Reputation Risk Handbook published – provides executives, boards and others with roadmap to reputation risk, how to understand it, triangulate it and deploy it successfully and profitably. New Joint Special Report from RepRisk and GEC Risk. This report provides key take-aways and analysis on the topic of Samsung’s Galaxy Note 7 product launch crisis. PDF Download available here. GEC Risk Advisory and the Internet Security Alliance have established a Strategic Partnership to develop practical thought leadership on cyber-risk governance and resilience building. GEC Risk is proud to contribute Chapter 15 on “Cyber-Resilience as a Strategic Imperative” to the ISA’s new book The Cyber-Security Social Contract: Implementing a Market-Based Model to be presented to the new US Administration in 2016-2017. Table of Contents is available here. Chapter 15 is available here. New Joint Special Report from RepRisk and GEC Risk. This report provides key take-aways and analysis on the topic of Tesla currently being investigated by the US Securities and Exchange Commission for a possible violation of securities law. PDF Download available here. Chapter available for download here. Companies that suffer a cyber-attack can find the biggest damage is to their reputation. They need to protect themselves from this ‘risk of risks’. 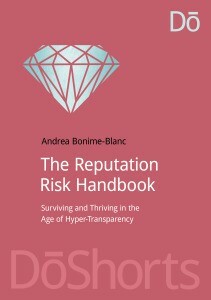 Andrea Bonime-Blanc gives interview to Berlin-based The Compliance Channel on the topic of “Reputation Risk: The Role of the Supervisory Board”. The interview may be accessed here. Andrea Bonime-Blanc gives Master Class on “Reputation Risk and Corporate Resilience” “Riesgo Reputacional y Resiliencia Empresarial” to Spain’s leading think tank, Corporate Excellence – Centre for Reputation Leadership, Madrid, Spain, November 2015. Revista Internacional Legis de Contabilidad & Auditoria, Bogota, Colombia. In their second Joint Special Report, RepRisk and GEC Risk produce a report and provide key take-aways analysis on five cases of negligence/alleged negligence around the world involving possible corruption, environmental, health and safety failures in different sectors. PDF Download available here. High-profile recent scandals affecting Latin America reflect a changing landscape for accountability in the region. Download PDF. To read it click here or download PDF. In her latest The GlobalEthicist column for Ethical Corporation Magazine, Andrea Bonime-Blanc provides impressions on the state of corporate integrity and governance in the technology-led economic powerhouse that is South Korea examining both the risks and opportunities that present themselves at this time. Available online click here or download PDF. RepRisk and GEC Risk Advisory have released their Joint Special Report on Privacy Issues. The report presents case studies from around the world on different types of privacy concerns, together with an analysis of how these issues could affect the companies involved. PDF Download available here. Spanish version only click here. Corruption risk and associated reputational risk are at an all-time high for businesses globally as governments apply multiple and sometimes contradictory laws to companies doing business in different jurisdictions. As recent high-profile scandals show, corruption and bribery run especially deep in the oil and gas and extractive industries, where economic gains are potentially high and value chains are long and complex. To read it click here. The authors examine what the appropriate level of ethics and compliance program development is for companies at four stages of development – from the pre-IPO early stage start-up to the mature global corporation. To read it click here. 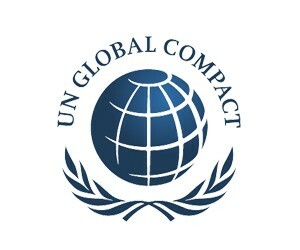 In the latest GlobalEthicist Column for Ethical Corporation Magazine, Andrea Bonime-Blanc tackles the following question: How do we get environmental and social issues to be integrated more systematically into companies’ risk and compliance programs, the way that corruption, anti-money-laundering and other ‘governance’ issues are? To read it click here. The latest interactive GlobalEthicist Column for Ethical Corporation Magazine tackles the challenging question of what boards can do to gauge the effectiveness of their companies’ ethics, compliance & integrity program. To read it click here. Special Report written by GEC Risk Advisory’s Andrea Bonime-Blanc and Llorente & Cuenca’s Jorge Cachinero. 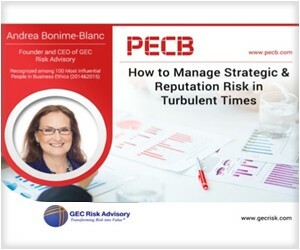 GEC Risk Advisory & leading Communications Firm in Spain, Portugal and Latin America, Llorente & Cuenca, issue Special Report in English & Spanish on the critical importance of understanding the most important emerging strategic risk global organizations face today: Reputation risk. Available here in English, Spanish, Portuguese. 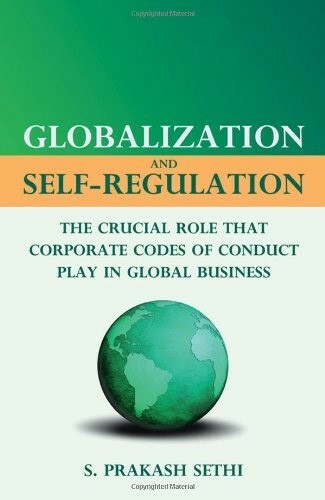 “Implementing a Holistic Governance, Risk and Reputation Strategy for Multinationals: Guidelines for Boards & Executives”. The GlobalEthicist Q&A Column – a monthly column where Dr. Andrea Bonime-Blanc responds to a strategic governance, risk and reputation question from a reader. Click Here to read this month’s question. 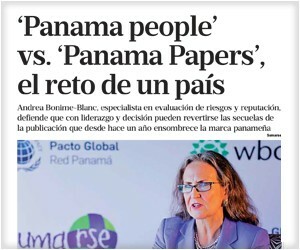 Andrea Bonime-Blanc wrote the OpEd “Acerca del Management Reputacional” (About Reputation Management) for Argentina’s leading business newspaper, El Cronista, published on April 23, 2014. In it, she states that over a decade after the collapse of Enron, many companies don’t seem to have learned important lessons about risk and reputation management and proposes a triangular solution to preventing future scandals. The GlobalEthicist – Do Banks Care about Reputation Risk? If you’re a senior executive with a possible whistleblowing concern, you may have fewer options than most employees. This column provides some suggestions. There are all too many examples of the devastating consequences of overlooking supply chain risks. Get it right, and a company and its stakeholders can reap the benefits. 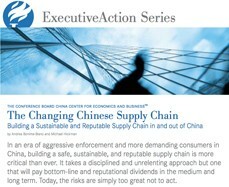 In this article several supply chain governance, risk and reputation management best practices are outlined. The GlobalEthicist – Who runs the reputational risks? The GlobalEthicist: Anti-corruption – what the US government expects from you. Last year, protests around the world shared a common cause: outrage at some form of corruption. The international community should use this moment in history to double down on efforts to fight graft or else stand by as new kleptocrats rise. Most companies claim that integrity is foundational to their mission. In practice, however, it is becoming increasingly difficult to protect a company’s reputation. 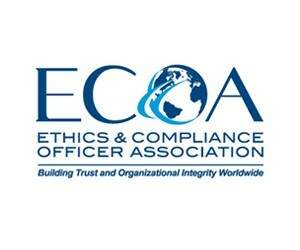 To protect a company’s integrity, there must be a strong ethics, compliance, and integrity (ECI) program in place—one that is fully integrated into the organization’s mission, strategy, and operations. The task of integrating an ECI program into the business is initially a multiyear effort and, thereafter, a permanent corporate priority. This report shows how an ECI program can be integrated into the fabric of an organization and become a part of the company’s culture and includes a case study showing how a major corporation—Eli Lilly and Company—is tackling the integration of its ECI program into its business strategy and operations. The report also provides a set of guidelines to help organizations create a sustainable and fully integrated ECI program for the long term. After two decades of lax enforcement and half-hearted commitment, global anti-corruption efforts appear poised to intensify. But achieving the goal shared by both policymakers and international businesspeople to eradicate at least the most blatant forms of public corruption will require a more concerted and integrated approach–not only within companies and governments but across industries and borders. Analysis of US Government Deferred Prosecution Agreement with HSBC ordering the bank to dramatically restructure, enhance and upgrade its compliance officer and program to top executive status and separate it from the legal department. 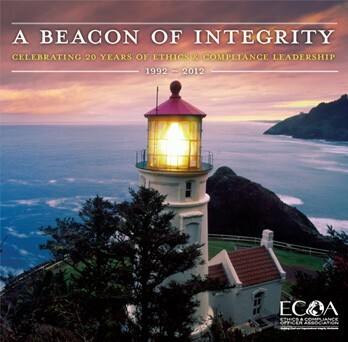 Article in commemorative book celebrating the 20th anniversary of the founding of the ECOA. Discussion of present and future of corporate ethics and integrity training and education programs. This article examines the structure and reporting lines for the ethics, compliance and risk management roles within organizations specifically examining the pros and cons of such roles reporting into the general counsel/legal department. 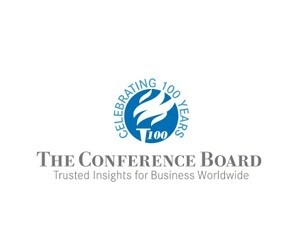 In an era of cataclysmic repercussions of ethical breaches throughout the world, it is critical for senior management—and, even more so, for boards of directors—to exercise active oversight on issues of business integrity and compliance. This report provides a 360-degree, high-level overview of “touch points” between issues of business integrity and the role of the governing body of a business. The Ethics and Compliance Handbook began as the brainchild of two close sup¬porters of the ECOA several years ago. Andrew Weissmann, former Enron Task Force Director, then a partner in the white collar practice at Jenner & Block LLP, and a frequent speaker and contributor to ECOA events; and Andrea Bonime-Blanc, then Senior Vice President & Chief Ethics & Compliance Officer at Bertelsmann and a director on the ECOA board, put on their respective hats as former prosecutor and E&C officer and developed the idea behind this book. The result is a book written by practitioners from leading organizations for practitioners and the larger business, regulatory, academic and non-proﬁt communities that illustrates in clear and practical terms the major elements of an effective ethics and compliance program, using the U.S. Sentencing Guidelines as the jumping-off point. With corporate scandals continuing unabated and hitting the headlines daily (the U.S. sub-prime mortgage crisis, Siemens’ bribery probe, Societe Generale’s rogue trader, to name a few), more and more organizations—whether corporate, non-profit, academic, or governmental—are adopting global codes of conduct for their employees, executives, agents, partners, and vendors. And these global codes are not necessarily being used as organizational wallpaper like they might have in the past. In today’s world of daily and instantaneously communicated risks, crises and scandals related to ethics and compliance—or what we call “E&C” risks—it is no longer simply desirable for companies to have an E&C risk-management program: It is a business necessity. Indeed, it is increasingly crucial to have an E&C risk-management system that is integrated with a company’s enterprise risk-risk management system. 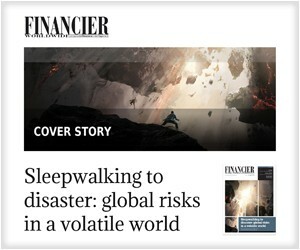 Subscribers can log in to read the article. Andrea Bonime-Blanc interviewed by Radio Infinita “Economia Global” show. (Interview starts at minute 18.30): Available here. ¿Hay mejoras en los gobiernos corporativos en Chile? 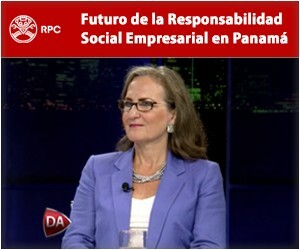 Andrea Bonime-Blanc interviewed by CNN Chile on corporate governance and ethics trends in Chile and elsewhere: Available here. 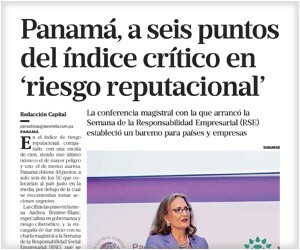 Chile’s Pulso newspaper interviews Andrea Bonime-Blanc on corporate governance trends in Chile and Latin America. Available here: PDF or read online. 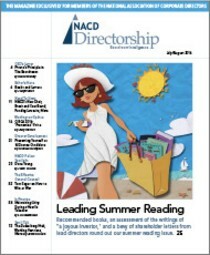 Andrea Bonime-Blanc’s The Reputation Risk Handbook among top summer reads recommended by the NACD Directorship Magazine – see story click here. Subscribers can find the article here. Video 1: http://bit.ly/1QZOEIb – Insight Minute: What is the financial impact of a cyber security breach? Video 2: http://bit.ly/1mbFXgP – Insight Minute: Is your company at risk for a cyber security breach? GEC Risk Advisory today announced two new strategic relationships that will give the rapidly growing governance, risk, integrity, reputation and crisis advisor a presence in Asia and greater resources for Latin America as well as expanded corporate responsibility capabilities. GEC Risk also announced the addition of three well-known international thought leaders from Brazil, Canada and Germany to its Advisory Council. Full press release click here. Tom Fox reviews The Reputation Risk Handbook for the FCPA Blog and the FCPA Ethics & Compliance Blog available here http://bit.ly/1MhyE38 and here: http://bit.ly/1NJ8zFx. Andrea Bonime-Blanc extensively quoted. To read it click here. Excerpt from The Reputation Risk Handbook. Andrea Bonime-Blanc quoted in lead story “HSBC Compliance Costs Illustrate New Costs of Banking” The Wall Street Journal – Morning Risk Report. To read it click here. RepRisk, the leading provider of business intelligence on environmental, social and governance (ESG) risks, and GEC Risk Advisory, the global governance, risk, integrity and reputation advisory firm, today announced their strategic partnership. For more information, read the press release here. WSJ makes mention of Ethical Corporation Magazine’s first “Ask the GlobalEthicist Monthly Column”. Argentina’s IAE Business School Video on the Ethics & Compliance ECOA Education/Certification Program held in April 2014 in Buenos Aires. Andrea Bonime-Blanc served as a faculty member. The Global Risk Institute on Financial Services of Canada Newsletter features the executive workshop “Ethical Risk & Risk Culture” designed and delivered by GEC Risk to Canadian financial sector chief risk officers in April 2014. Andrea Bonime-Blanc gave three live interviews to BBC TV Asia (Singapore) and BBC Radio “Business Matters” on May 19, 2014, on breaking news about the Credit Suisse US government settlement. 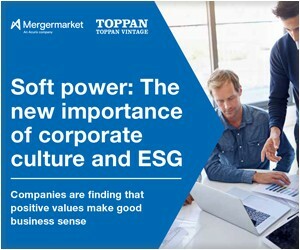 In this interview with I-Sight Blog, Andrea Bonime-Blanc discusses the four key pillars of effective supply chain risk governance – ranging from the existence of a robust speak- up culture at every stage of the supply chain to proper oversight at the board level. The article can be found here. by Trust Across America/Trust Across the World. Andrea Bonime-Blanc interviewed on how global companies can create better governance and risk management frameworks to manage the often confusing and chaotic issue of harmonizing competing privacy regimes worldwide. 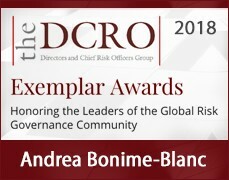 Understanding reputational risk is the first step towards effective reputation protection and so we are delighted to feature a guest blogpost on this topic from Andrea Bonime-Blanc, CEO of GEC Risk Advisory, a strategic risk and reputation management consulting firm based in New York City, specializing in global governance, risk, compliance, ethics and CSR advice.